Government will in two weeks’ time announce a package of economic measures to cushion the public from the crippling effects of high fuel price hikes and the VAT increase, President Cyril Ramaphosa said on Friday. 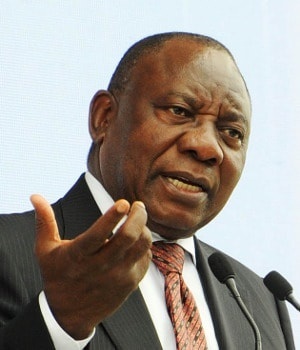 Addressing business and government leaders in Pretoria ahead of the BRICS Summit later this month, Ramaphosa said a panel made up of various stakeholders from the economic cluster has been tasked with drafting the package. He said government had acknowledged that the people were reeling from the effects of fuel price increases which he said was among other factors imposed by the depreciation of the rand. “We will be announcing a package of measures to ease the burden of the price increase, this would include the finalisation of the VAT exempt products. “I will ask the ministers in the economic cluster to finalise the package in a matter of two weeks,” he said. Ramaphosa urged retailers and the transport sector to hold off price increases while the plan was being drafted. The poor have been impacted severely by the rising cost of living. The price of fuel has been increasing steadily since April, following the increase in the fuel and RAF levies. The VAT hike from 14% to 15%, which came into effect in the same month, has pushed the cost of food and other items significantly higher. Former minister of finance Malusi Gigaba announce the VAT increase during the budget speech in February. The increase was the first in over 24 years. The Minister of Finance Nhlanhla Nene said the panel tasked with putting together the package met last night and is due to meet again today. “Its mandate had been expanded to look into the effects of the fuel price,” he said.